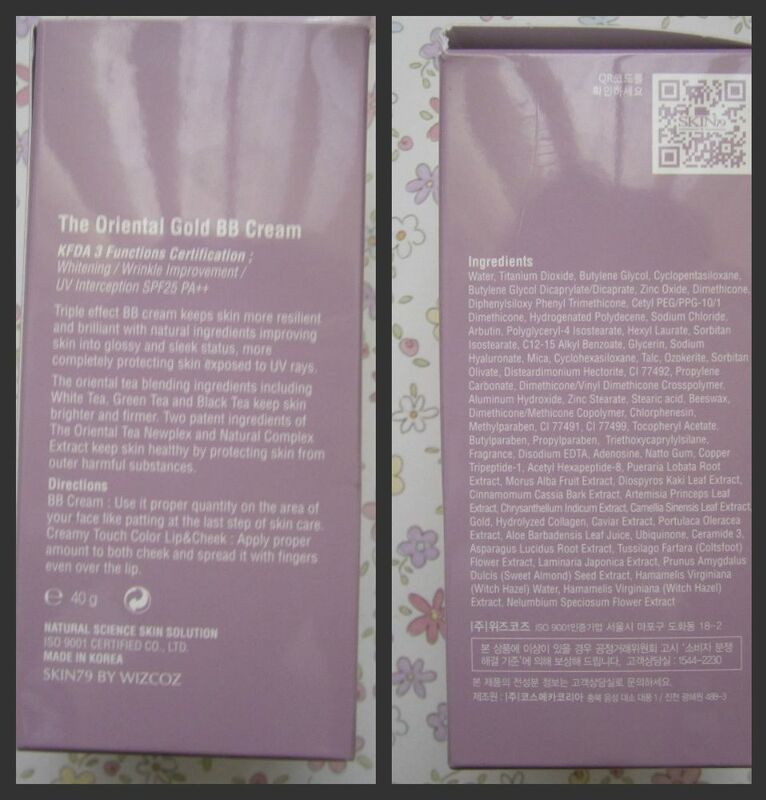 The Oriental Gold bb cream has been on my 'to buy' list quite a few months now, ever since I noticed my beloved Etude bb cream acting a bit temperamental, the shade darkening throughout the day! Well, I'm not too concerned about wrinkles and such yet, and I don't particularly have dry skin, but I still wanted to try this because the shade is much less grey, or beige-pink toned than many of the bb creams I've come across. The bb cream comes with the lid safely sealed, so it's nice to know it hasn't likely been tampered with. The gold coloured lid tends to get dirty with fingerprint smudges, so I'm constantly wiping it down because otherwise it looks a bit gross. The pump hole area should be wiped down after each use to avoid old formula blending with new formula the next time you use it. The product is a little thicker in consistency compared to other bb creams I've tried, similar to a rich moisturiser. 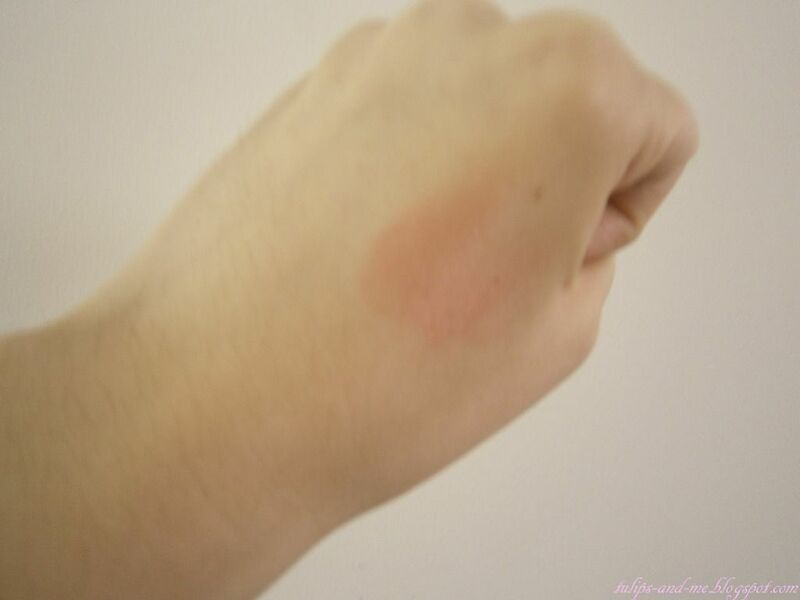 It definitely has less of that greyish or pinkish undertone so common in bb creams. This has a more warmer/pale yellow tone. The Oriental Gold also has a noticeable scent, something floral-y or perfume-y? It's quite pleasant but for those who don't like scented products, I didn't notice any scent after application. The Oriental Gold can be applied with fingers, but lately I've been using a foundation brush to try and get a little more coverage. I don't see much of a difference in the smoothness of application with either method. Primer beforehand does seem to make a difference for me, in terms of a more smoother application around the nose/cheek area, where my skin pores are a little more obvious. Since the Oriental Gold is targeted towards a more mature skin demographic, which tends to mean dryer skin, oil control may be a concern for those with oily or combination skin. Finishing powder on top of the bb cream would be recommended for these skin types. Those who require a little more coverage due to skin blemishes, might find the coverage of the Oriental Gold a bit disappointing. Though the consistency is thicker, it does not equate to fuller coverage. I would say the coverage is lightweight, and only slightly buildable. 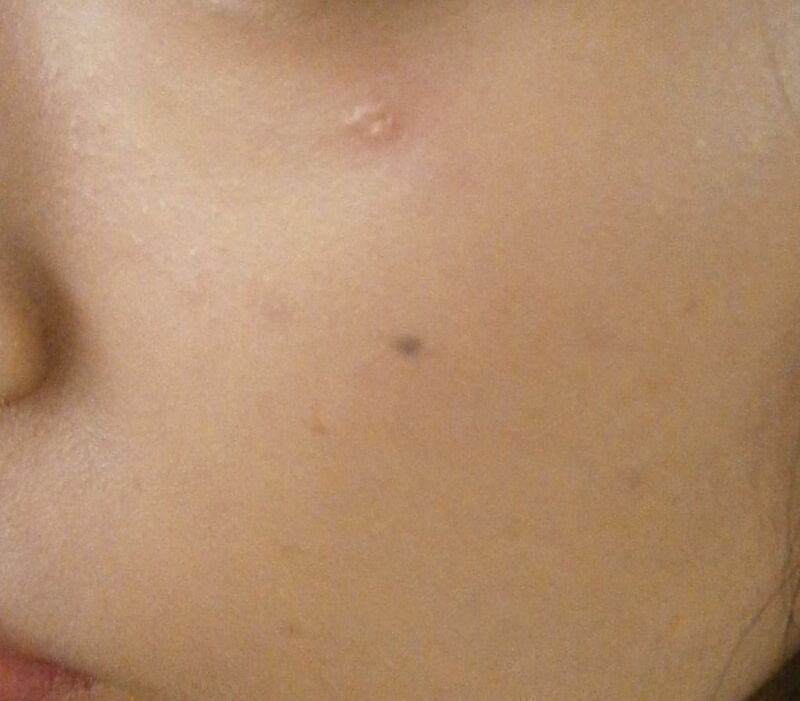 After patting additional bb cream on problem areas my redness and acne scarring was minimised, but not significantly. But then again if I wanted full coverage, foundation would be a better choice. BB cream is a much better choice for daily wear rather than foundation, due to its skin care benefits. I'm happy to incorporate the Oriental Gold into my normal beauty routine, and simply switch to a better coverage bb cream or foundation when the occasion for a more flawless look arises. This bb cream may appeal more towards those who are looking for something to even out the skin tone, and brighten the face. Why do I look so tired? Haha. Overall, I don't regret buying this, and I'll keep using it to the end. I've got a Fairy Drops bb cream review almost ready, as well as one for the Etude lip tint I recently purchased, so expect those in upcoming posts. hm very little oil control huh? I got oily skin so I guess this isn't for me! thanks for the detailed review! i heard a lot of those BB products, but where I live they don't sell it... have to buy it online, but i'm not sure if i should.. i have very oily skin. very nice review, I def. like the packaging of it! It's a shame that is not very good with oil control :( otherwise I'd definitely have bought it! Thanks for the review! :) I've never actually heard of this brand before. But after reading your review, I'll definitely consider buying this. 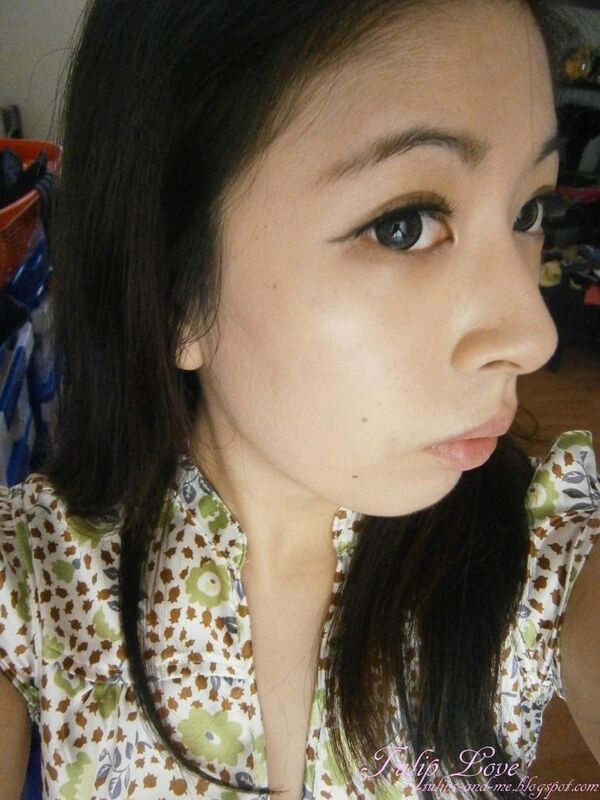 I'm currently trying out Etude House's BB cream (a sample I got from my previous shopping spree at Etude House :P). Yeah, I wish bb creams had greater skin tone ranges! 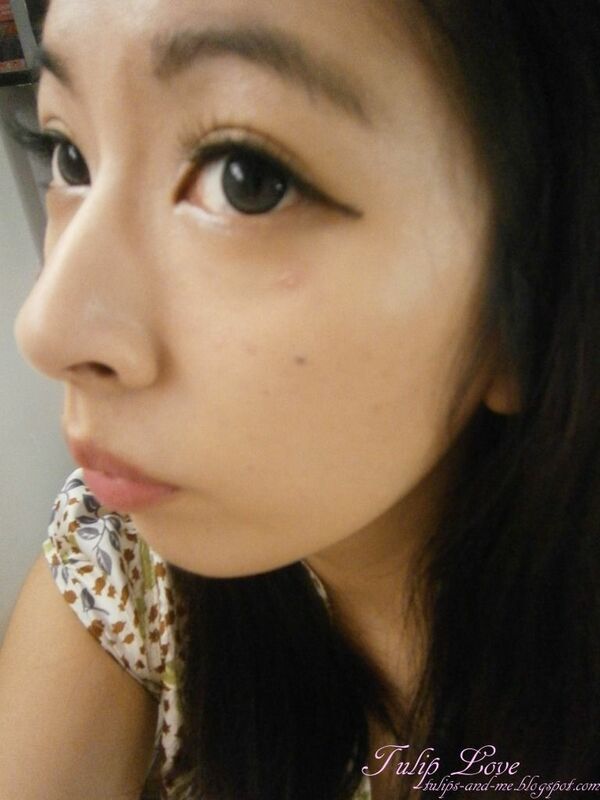 I'm doing great~ Yeah, I have to buy online as well - it's so hard to narrow down the choices. Hmm, unfortunately this particular bb cream won't suit oily skin. I think SKIN79 still has a few other bb creams more suitable though. Yeah, oil control is quite important, second to coverage for me! The packaging is a big plus for me too! Thanks for letting me know, I'll stop by soon! Yeah, since it's mostly for mature skin. But it looked so pretty I couldn't resist getting it! Anyway thanks for showing us! It does make my skin a bit pearlier and radiant, yep. 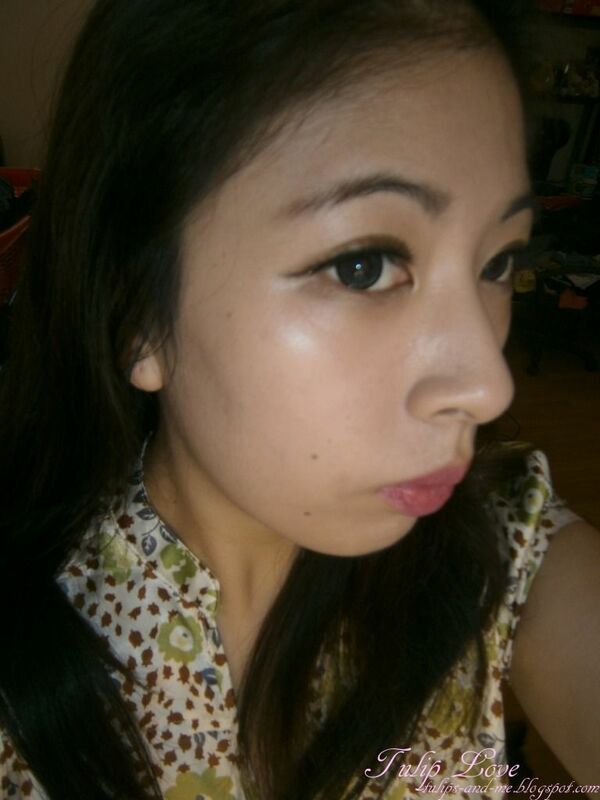 My skin is a little more yellow toned, but this bb cream blends well on me. Yeah, I'd love it more if it had better oil control! Thank you for the review! I've been wanting to try this BB cream, but I have slightly tan skin. Do you think that it will oxidize enough to suit my skin color?